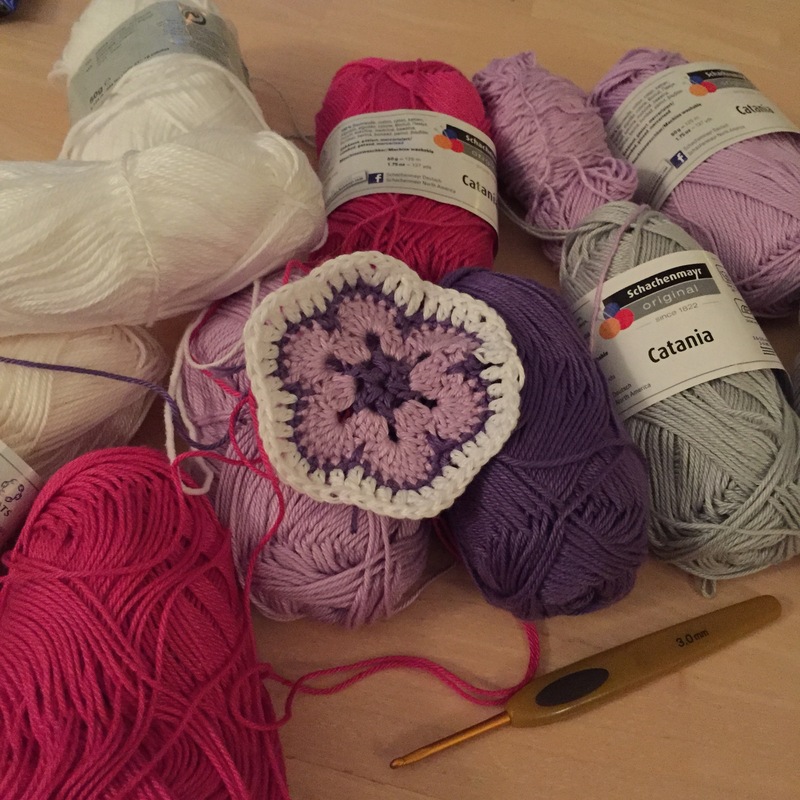 WIP: Off Hours by Elvira | weekly blogs about my projects and every day life…. 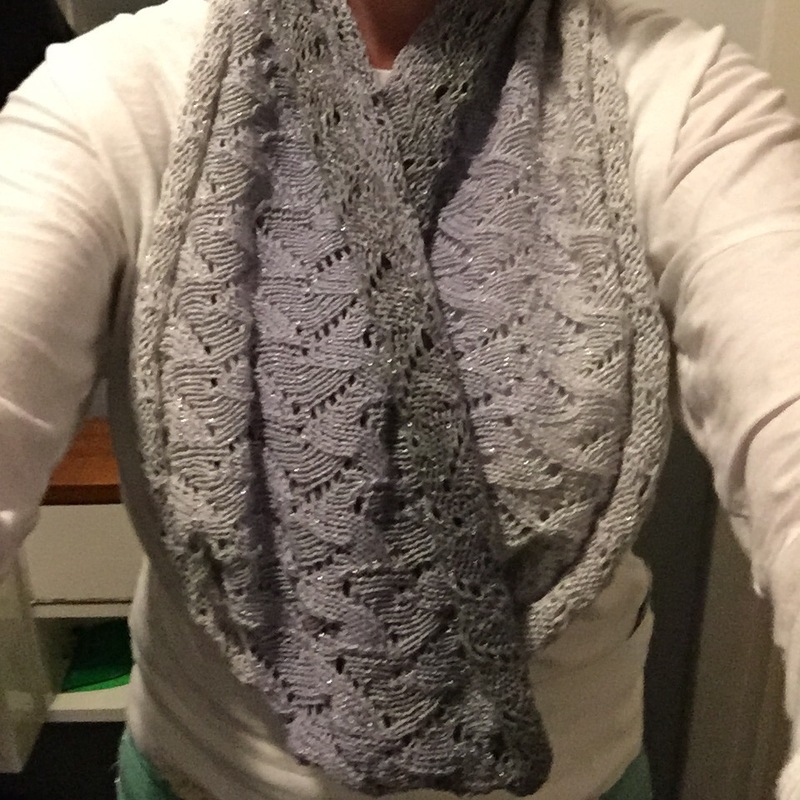 Finished this week my lace shawl! 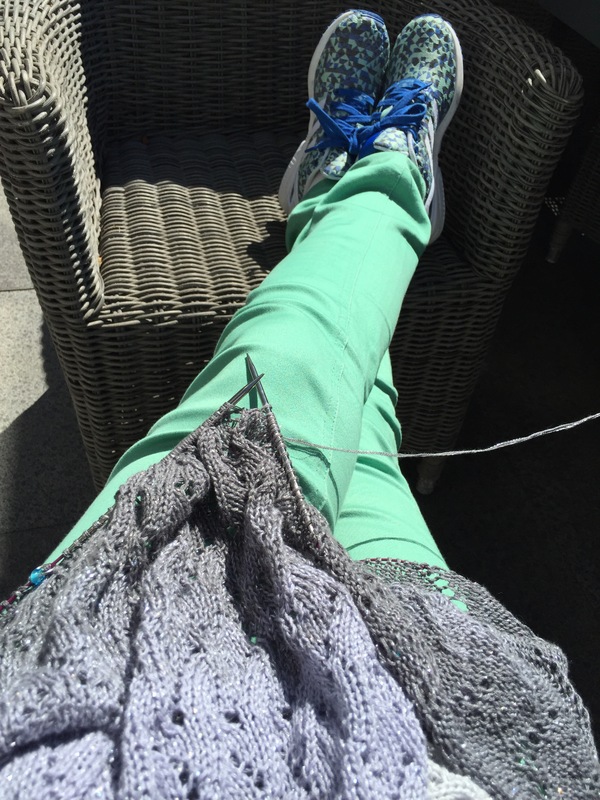 Was nice sitting in de sun in the garden on Sunday to knit the last rounds. Then washing with Eucalan…. 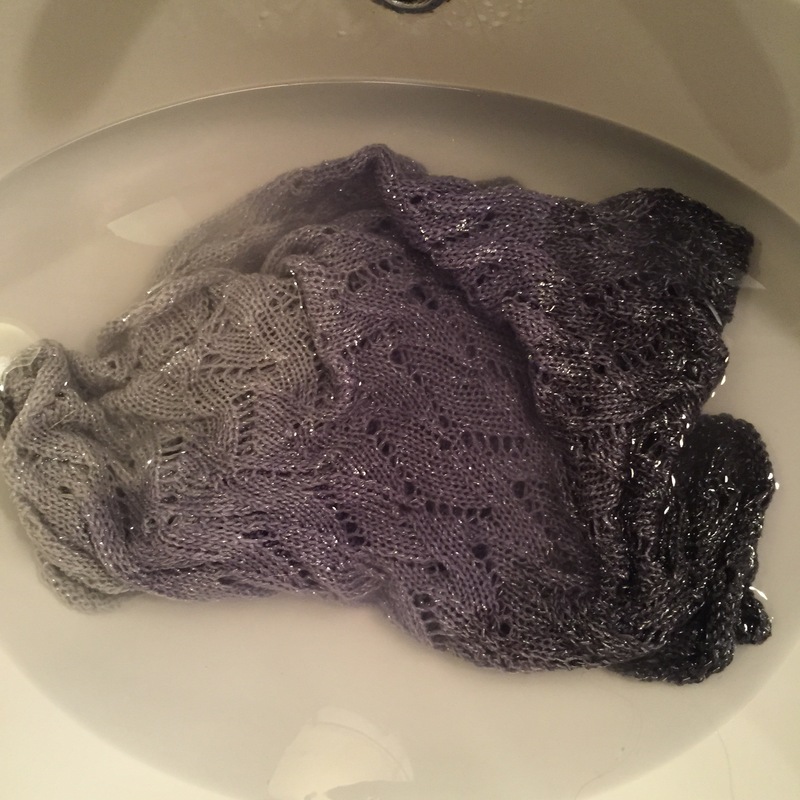 Soaking… Waiting… Don’t you just love the shimmering in the yarn? 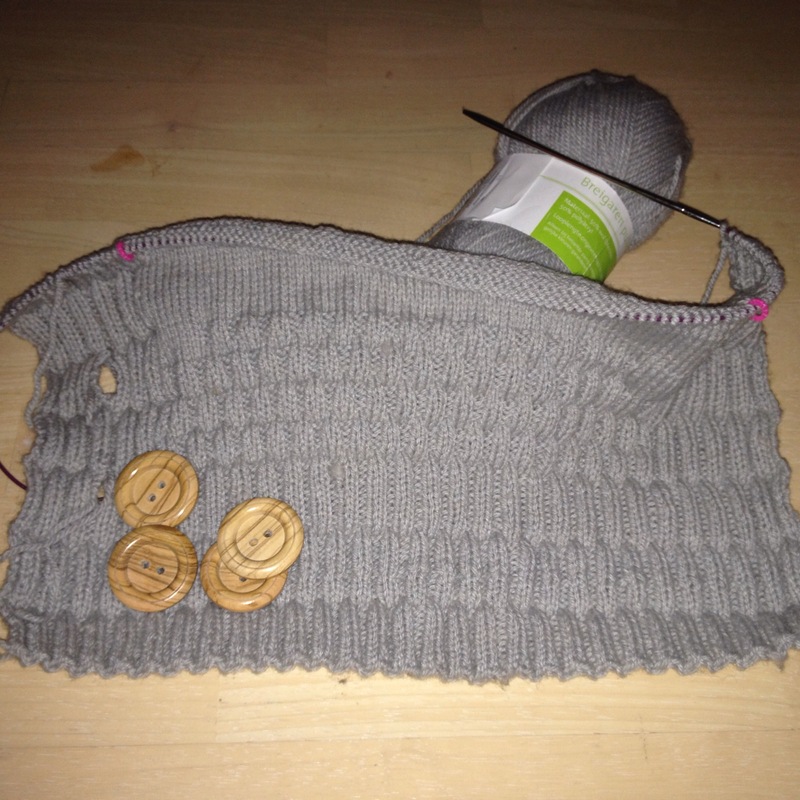 In the meanwhile doing a bit of math to calculate my next sweater… And trying to figure out what stitch to use. progress is made! So happy to almost finish my new infinity shawl! 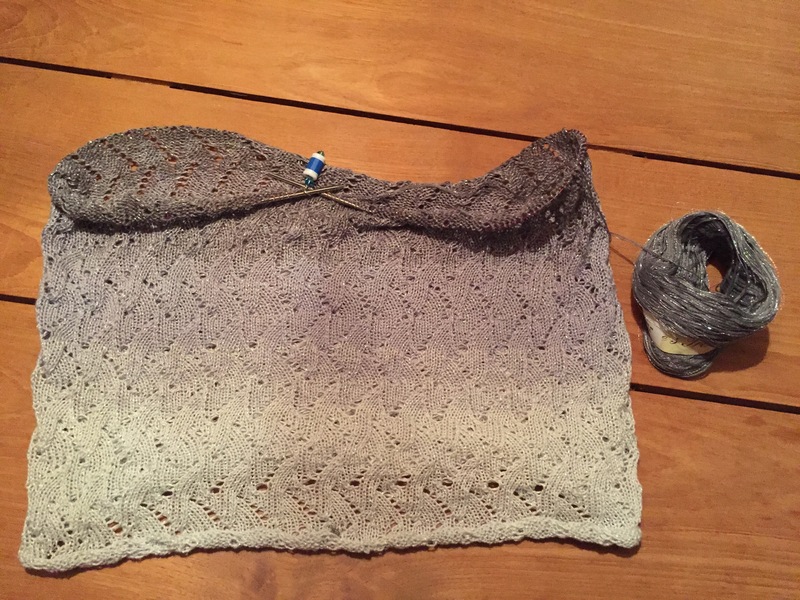 The color changes are so subtle and so nice.. And the yarn so soft – can’t wait to wear it. 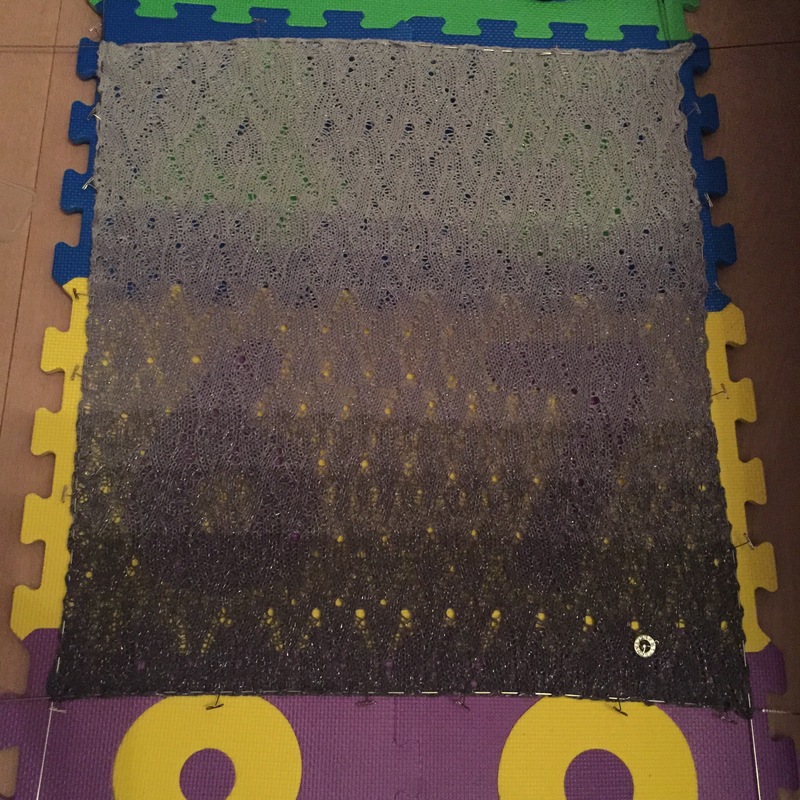 Hardest part will be blocking and taking the time for it to dry – but it will definitely add value to the pattern! 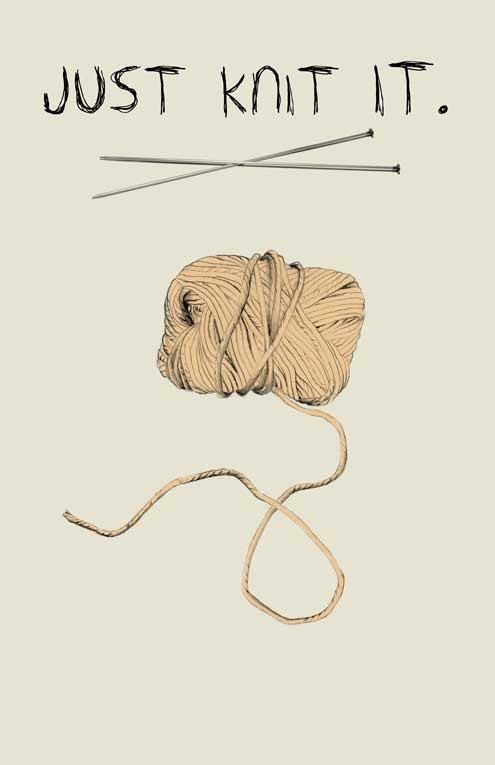 And as a true knitter – I am spinning my head for new project already! Ordered two great books that arrived this week – one for Fair Isle knitting, and one for Brioche Knitting. Two techniques I haven’t done yet, so excited! I also am waiting for my wool winder to arrive – looking forward to create my own yarns! I am only still looking for goor tips of dying my own yarns – so please feel free to leave tips!!! Very very welcome! Let’s see. 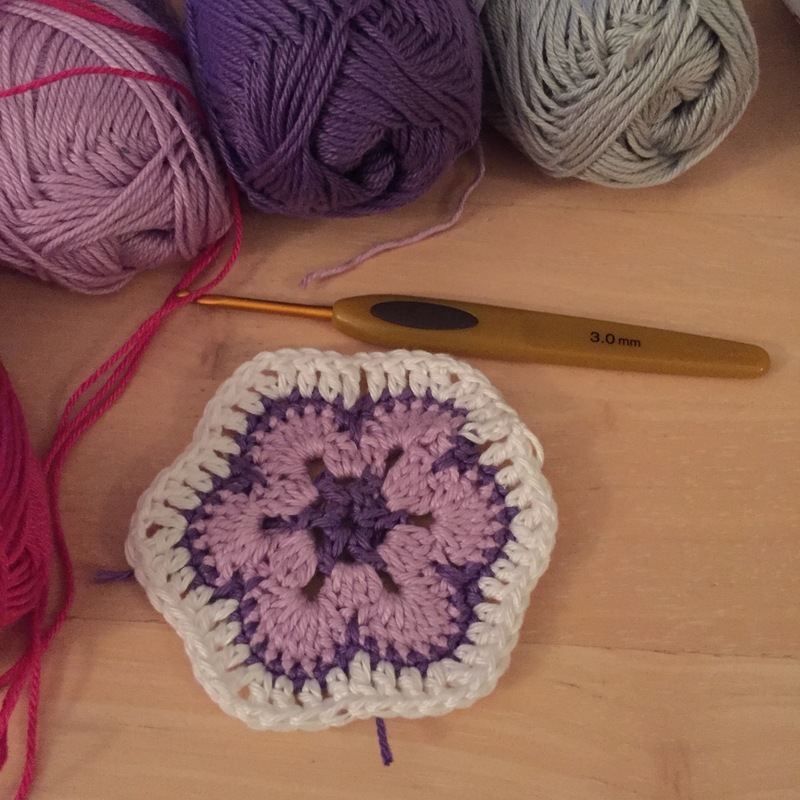 I devided the circular in three equal pieces if 10 repeats of the lace pattern. That is 7 stiches per pattern, so 3x10x7 = 210. 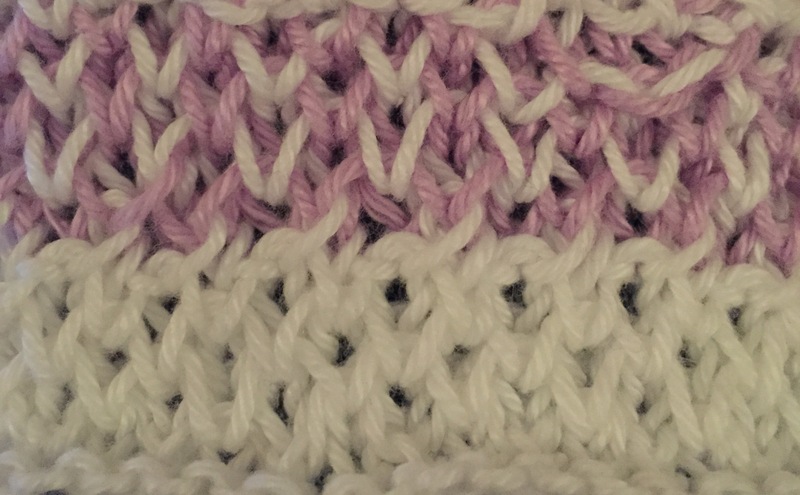 The pattern is first to the right, then to the left total 24 rows before it repeats itself…. 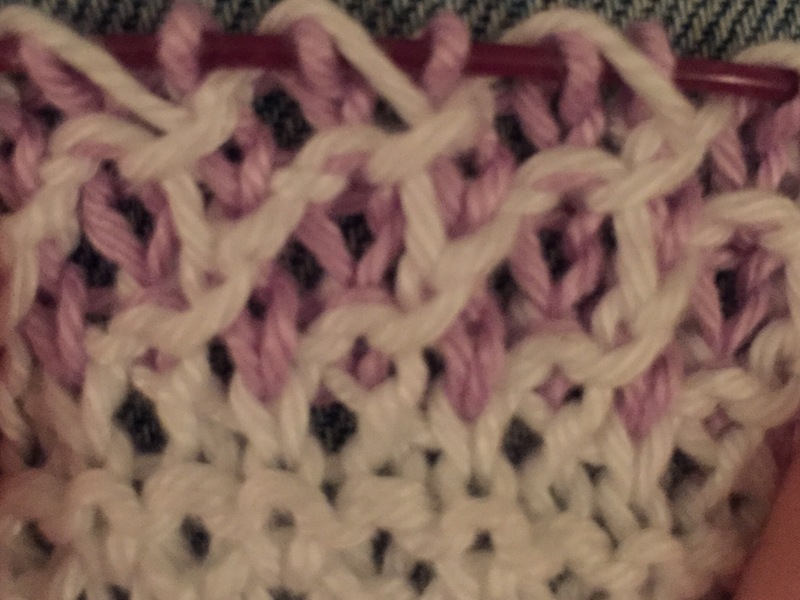 can’t say there are no little mistakes in there – but as this is my first lace pattern, that I made after looking to another photo of a shawl – i am pretty happy with what it’s turning into. After a nice dinner tonight, back in my hotel… Knitting time! 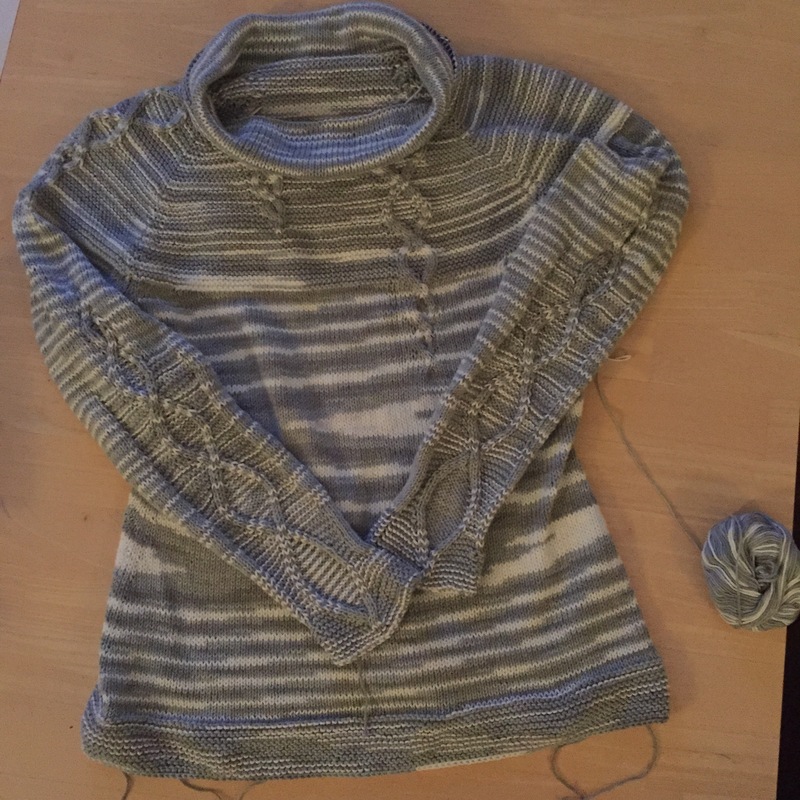 Oh – did i mention that I finished my sweater??? So proud- it’s going to be one of my favorite sweaters ever! 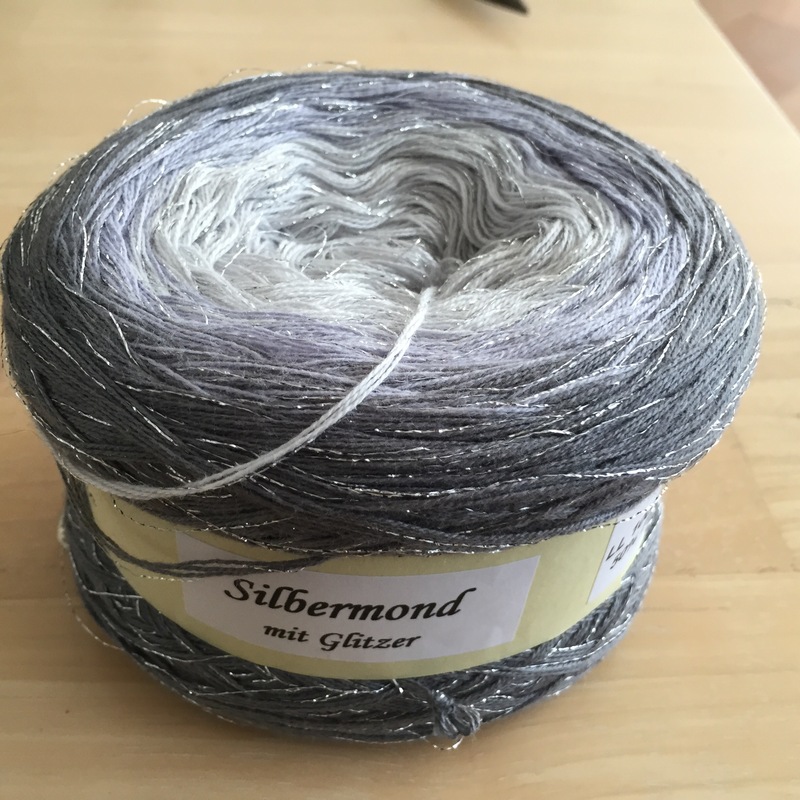 So, as I mentioned before I was looking for someting nice to make of this yarn. 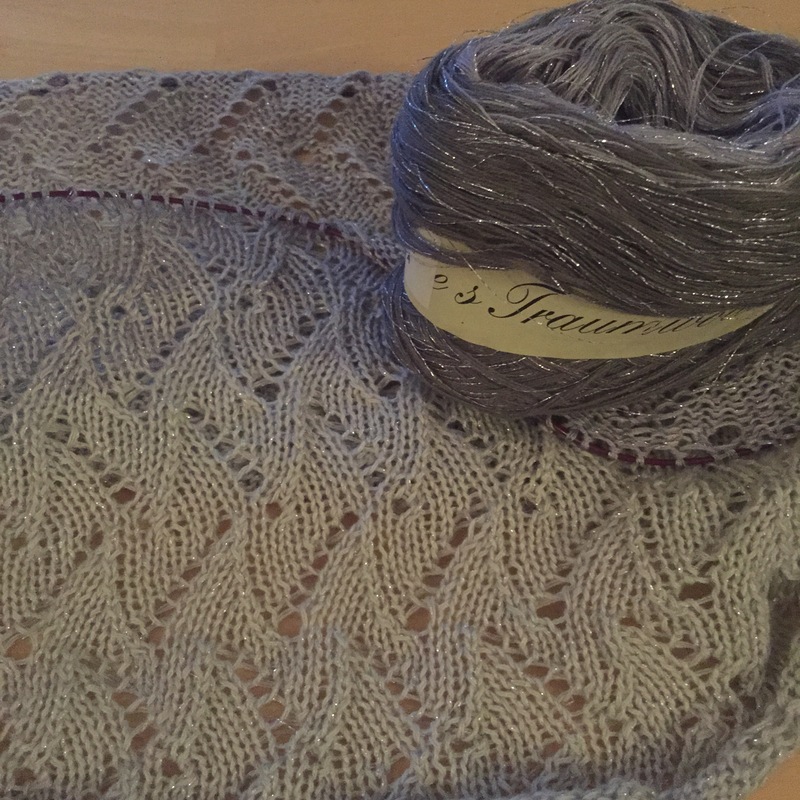 I wanted to make a nice “never ending” shawl, and as the yarn is a beautiful fragile 4 ply it would be ideal for a nice lace pattern. Tried a piece, just straight (as the rectangle shawl) and figured out the pattern. 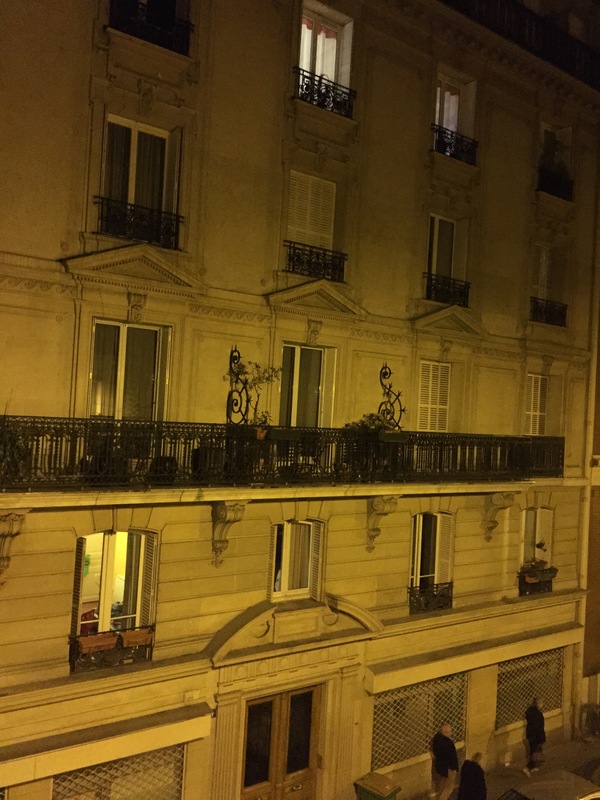 So, again, here I am sitting on my bed… In the beautiful nights of Paris, knitting… And i’m loving it! so, progress made. Body and arms finished. Body with a negative ease and the arm slim fitted (like skinny jeans, matching the arms). 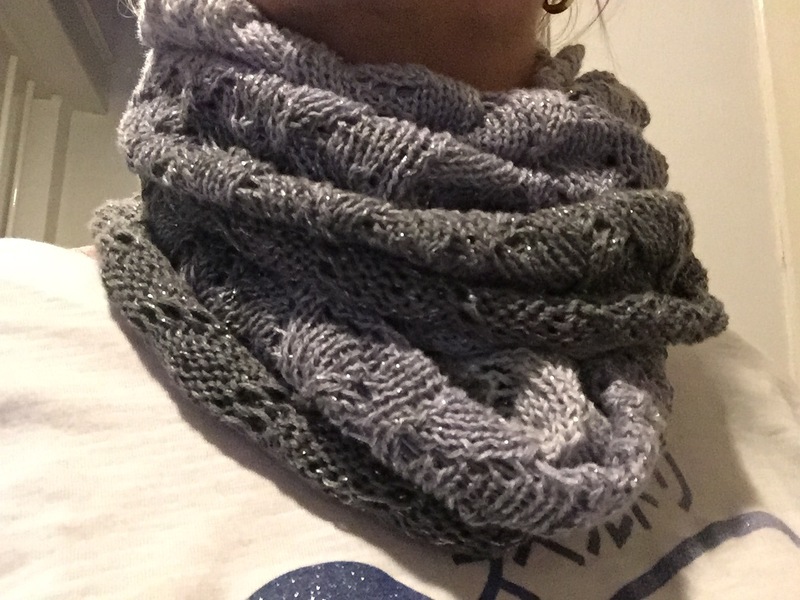 I have given it a lot of thoughts, but decided to go for a plain cowl in stockinette stitch. Next week a new project to start!!! What will it be?!? New month new project. Excited! Still working on my sweater- loving it more and more! Exactly following my own body with a negative ease and slim sleeves. 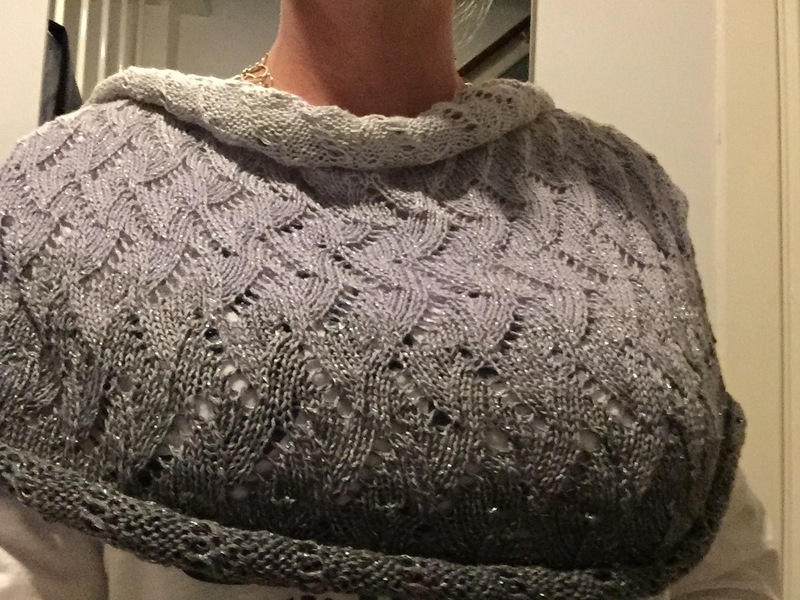 Still trying to figure out how I want to finish then neck – cowl, nice border or leave as is? As I probably wrote before, work is a bit hectic as my portfolio expanded with France (so now BeNeLux & France). This makes me traveling a lot to France lately and no real opportunity to knit. 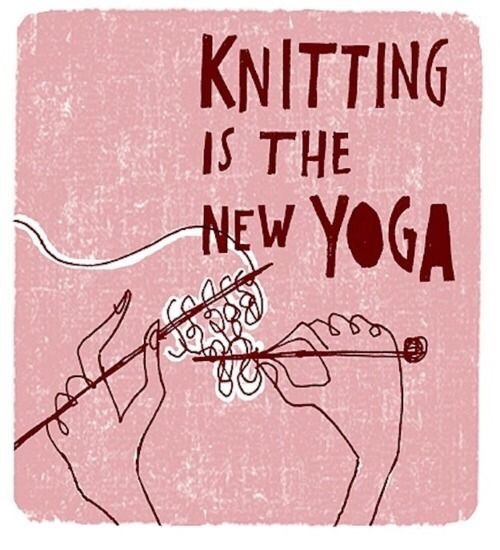 BUT, when I am home my knitting feels even more like an addiction then it did before… My ultimate relaxing time. 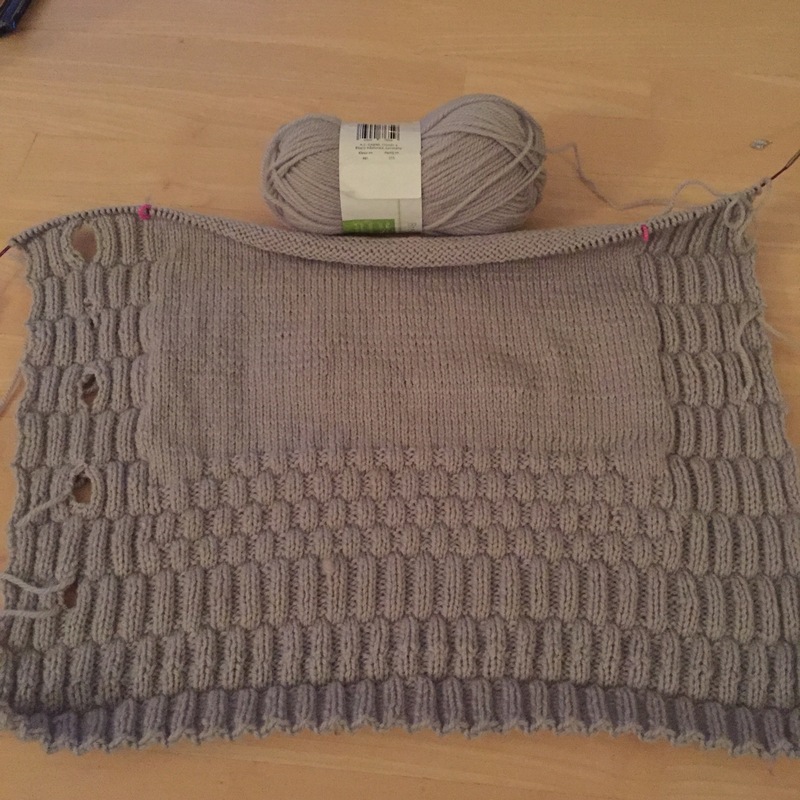 And yes I know weather is improving so I should start my running again, but I just want to finish my sweater as I am so pleased with the result so far. 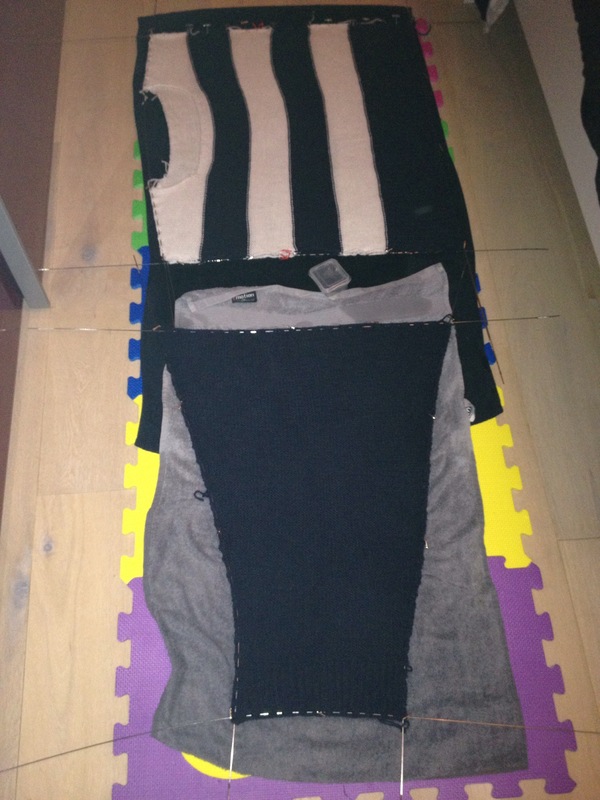 I am using the top down method for the first time, and I love the fact that I can try it every now and then to make sure it fits – it has been so dissapointing in the past when I worked many hours on a sweater and when you finally put it together you don’t like the way it fits. This is great, you can just customize it perfectly. 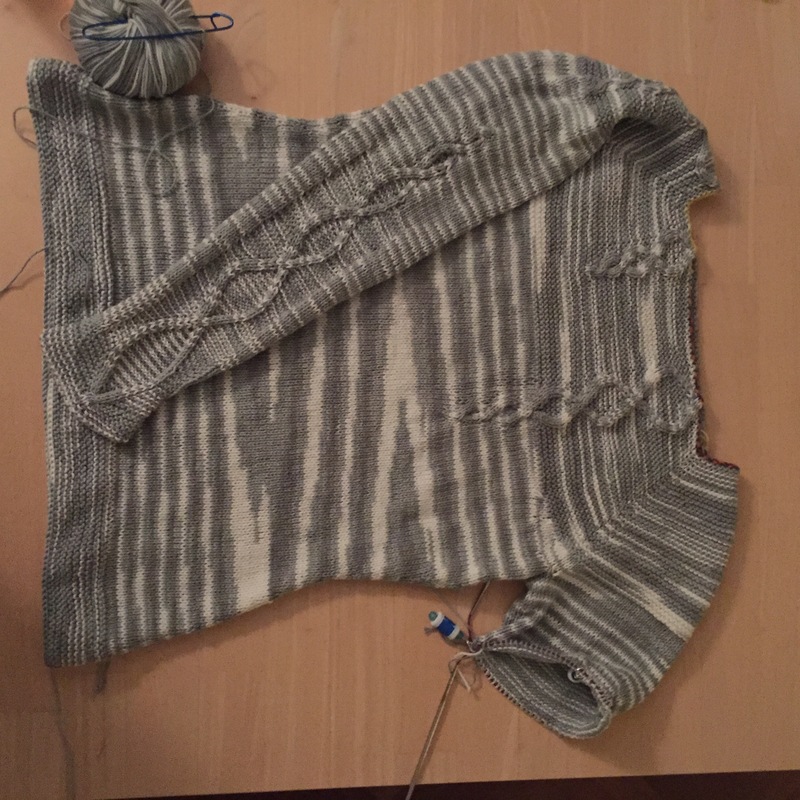 So almost at the bottom of the body, only the hem to be done – and then starting the arms. Can’t wait to wear it!! !